Here's a close up of the Spiders FACE. 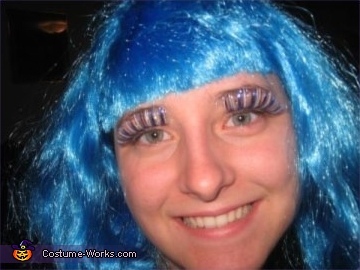 Oh MY what BIG Eye-lashes you have dear. This is Stephanie... a Big Creepy-Crawly Spider! Thanks for joining us again this year Stephanie. This homemade costume for women entered our 2007 Halloween Costume Contest.